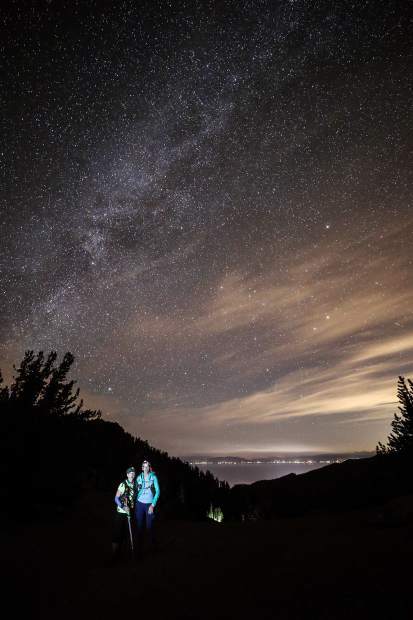 Runners made their way through darkness around Lake Tahoe for as many as four nights during the fifth annual Tahoe 200 Endurance Run. 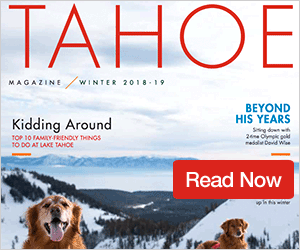 Course records were obliterated this year at the Tahoe 200 Endurance Run, and for the first time, two athletes finished the more than 205-mile course, which runs mostly along the Tahoe Rim Trail, in less than 50 hours. Running through two nights and three days, Colorado’s Kyle Curtin and Courtney Dauwalter battled it out until the final miles of the race with Curtin taking the win in 49 hours, 27 minutes, 22 seconds. This year’s race sold out at 250 runners, according to Burt, and 217 made it to the start line on Friday morning to attempt the lengthy trek. 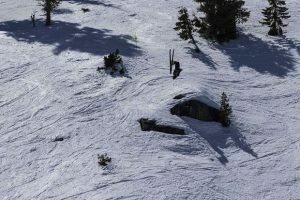 Those on the course would pound along for days and nights on end, working to reach the finish line at Homewood Mountain Resort by the 100-hour cutoff time. The race mostly uses the Tahoe Rim Trail, but deviates around Mount Rose Wilderness, Granite Chief Wilderness, and to the west of Desolation Wilderness, taking competitors on a roughly 205-mile journey around Lake Tahoe. For the race’s fifth year, the course was reversed and the runners went clockwise around Tahoe, which ended up making for an even more difficult race. While there was a dip in the percentage of finishers, two of ultramarathon racing’s elite athletes absolutely demolished the course this year, finishing more than 10 hours ahead of third place, Taylor Spike. 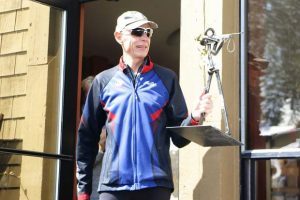 Making his first attempt at a 200-mile distance, Curtin, 31, of Durango, Colo., tracked down Dauwalter during the final quarter of the race to claim this year’s overall title. Curtin’s finish crushed the previous record, set last year by Sean Nakamura, who finished the race with a time of 58:29:16. Finishing in second with a time of 49:54:36, Dauwalter made waves last year when she captured first place overall at the Moab 240 Endurance run by nearly 10 hours. She followed that up by winning the women’s title last June at the Western States Endurance Run, finishing with the second fastest time ever by a woman. Compared to some of her previous races at long distances, including one account, in 2016, when she lost all vision during a race and ended up running blind, Dauwalter had a relatively smooth race at the Tahoe 200. After spending the first night running around the lake’s eastern side, Dauwalter had built a solid lead over the field, cruising along single-track trail as her fellow racers began dropping out. Though an extremely experienced ultra runner, Dauwalter said the same mental battles and doubts creep up in each race, and the Tahoe 200 would be no different. The little bit of sleep she tried to get, aside from one short nap, proved futile, and as she made her way along during the second night near Wrights Lake, distance and fatigue began taking their toll. “The last 40 or so miles was tougher trails, more technical, and I was sleepy and stopping a lot to try and take a one-minute nap. 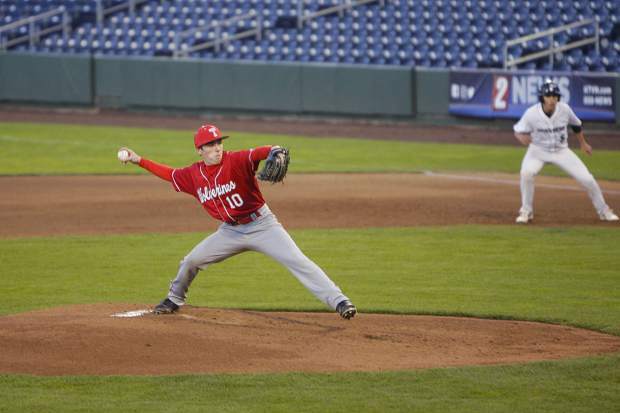 The night just dragged on and the miles were moving by a lot slower,” said Dauwalter. While running through the darkness during her second night on the course, Dauwalter stumbled and fell, sending a pain shooting from her hand up into her arm. The spill would be one of about five Dauwalter said she took during the race, which isn’t untypical for the distance. As the racers made it to the Rubicon Trail, they were faced with another challenge. With very dry conditions in the area of late, running the trail meant kicking up and breathing dust, which also ended up in runners’ shoes, adding more another element of anguish to already suffering feet. During this time, Curtin had sliced into Dauwalter’s lead and with roughly 30 miles remaining in the race, made the pass. Curtin would go on to take this year’s overall title, reaching Homewood on the morning of Sunday, Sept. 9. During the final aid stations, Dauwalter said she ran into the previous women’s record holder, Suzanna Bon, and with her pace nearly 18 hours ahead of Bon’s record time of 67:56:43, Dauwalter was given words of encouragement from the soon-to-be former fastest woman. Upon reaching the finish line, Dauwalter said she was overcome with the typical sense of joy and relief that comes with finishing a race of that distance. After rest and a few beers, Dauwalter said she had made it through the race relatively unscathed, aside from sore legs and feet, and a little bit of dust in her lungs. She said her next race will be Oct. 20, at the Big Backyard Ultra, an event where athletes run a 4-mile loop until there’s only one runner left standing. The Tahoe 200 is presented by Salomon and organized by Destination Trail, which will close the ultramarathon season with the Moab 240 on Oct. 12. For full results visit Tahoe200.com.